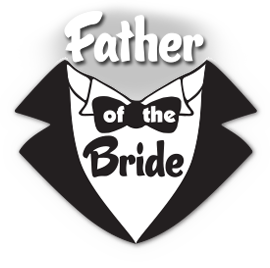 The play that spawned several movies tells the story of a dithering father as his only daughter prepares to wed. As expenses and headaches mount and the big day arrives, will dear old Dad be able to see it through? A gentle comedy to which every father can relate. LUKE HUNT (Mr. Stanley T. Banks) This is Luke's 25th production at Plaza Theatre Company. He has appeared on the Plaza stage as Long John Silver in TREASURE ISLAND, Froggy LeSeuer in THE FOREIGNER (for which he won a 2013 Column Award for best featured actor in a non-equity play), himself and a few other people in THE COMPLEAT WORKS OF WILLIAM SHAKESPEARE (abridged), The Duke/Dr. Carrasco in MAN OF LA MANCHA, and as Judge Harry Wilkins in DEAR RUTH. He has also acted with the Granbury Theatre Company as John Dickinson in 1776, Eric Swan in CASH ON DELIVERY, and Lloyd Dallas in NOISES OFF! and locally with the Carnegie Players as Aslan in LION...WARDROBE, Count Dracula in DRACULA, and Thomas Jefferson in 1776. He is the new Theatre Arts Director at Alvarado High School and is a co-owner of Dance Across Cleburne with his wife, Rachel. BARBARA RICHARDSON (Elle Banks) Barbara is very excited to return to the stage for her third show at PlazaCo where she performed previously in Harvey and as Clairee in the theater's first production of Steel Magnolias. Over the years she played a variety of roles in assorted local theaters, but she is particularly fond of performing for PlazaCo audiences. In her own words, "They are the best!" She feels blessed to be given the opportunity to work with such a talented, gracious, and friendly theater troupe. She thanks Soni and Jodi Barrus for casting her as Elle. She also sends a huge shout out to her grandsons, Jackson and Lane who worked hard to help her learn her lines. If she doesn't have them now, it is not their fault! RACHEL LARSEN (Kay Banks) Rachel is incredibly grateful to appear on the Plaza stage for the 2nd time. When she isn’t contemplating the Meisner Approach or listening to showtunes, she’s playing piano and living life to the fullest. A few favorite past roles/shows include: Kylie in A CAPELLA at Stage West, OUR TOWN at Fort Worth Academy of Fine Arts, Wicked Witch of the West in THE WIZARD OF OZ, Lala in THE LAST NIGHT OF BALLYHOO, Rosie Red Hood in HAPPILY FOREVER AFTER, Starkey in PETER PAN at Kids Who Care Inc, and Ismene in ANTIGONE. She is a Senior at Fort Worth Academy of Fine Arts. "Immense gratitude to Soni and Jodie Barrus for this fantastic opportunity, to my parents for their undying support, and to God – who makes all things possible." TABITHA BARRUS (Kay Banks) Tabi is so happy to be returning to the Plaza stage with this fantastic cast and crew. Tabitha teaches drama at James Madison Christian Academy as well as teaching every afternoon at Plaza Academy. She considers herself very lucky to still have time to be onstage herself! Favorite past roles include Ruth in DEAR RUTH, Tzeitel in FIDDLER ON THE ROOF, and Ariel in FOOTLOOSE all on the PTC stage. She sends love as always to Mom, Dad, Cam, E, Mimi, JJ, and Dodger for their love and big thanks to Soni and Jodie for this opportunity. She also sends a shoutout to Parker, Nolan, and Michael who have made playing Kay as natural as, well, real life. PARKER BARRUS (Ben Banks) Parker is excited to be in his fourteenth production here at Plaza! He's also loved playing roles like Willard in FOOTLOOSE here at PlazaCo in the past. In his spare time he loves learning to play new musical instruments and making pizza at Papa Murphy's. Go on by and see him! MICHAEL SORTER (Buckley Dunstan) Michael is a senior at the Fort Worth Academy of Fine Arts (FWAFA) and is excited to be in his 7th show on the Plaza stage. Some of his previous shows include DEAR RUTH, CAMELOT, and RAGTIME; all at Plaza. Some of Michael's other credits include Kyle in LEGALLY BLONDE: THE MUSICAL at FWAFA, Joe Stoddard in OUR TOWN at FWAFA, and General Lord Glossop in JEKYLL & HYDE: THE MUSICAL in Casa Mañana's Apprentice Program. "Thanks to my parents for trusting me in my studies while i'm busy with shows!" TOBY BURRIS (Buzz Taylor) Toby is thrilled to be apart of the FATHER OF THE BRIDE production. After being in One Act Play productions, such as THE COVER OF LIFE, and DOUBLE DATE, Toby fell in love with Theatre. And after being in the full production of SEUSSICAL THE MUSICAL Toby fell in love with being in Musical Theatre. Toby would like to thank his mother and father for paying for his gas. Gas he used, and will continue to use, to get to and from rehearsal and showings. PAMELA VALLE (Delilah) C. PAMELA VALLE (Delilah) This is Pam’s sixth appearance at the Plaza, playing the part of the Banks’ family maid. She was previously seen playing the roles of the Housekeeper/Prisoner in MAN OF LA MANCHA. Other roles include the Sultan’s wife in DON’T DRINK THE WATER, a Nubian slave in AIDA, Frau Schmidt/nun-ensemble in THE SOUND OF MUSIC, and the Queen of Transylvania/ensemble in MY FAIR LADY. She is a graduate of Texas Wesleyan University, with a BS degree in Liberal Studies, with prior studies majoring in vocal pedagogy. Pam served as a music missionary evangelist for 25 years, travelling throughout the U.S. and internationally. She feels humbled and excited to be a part of the Plaza Theatre family. Thanks to my hubby (Mike) of 43 years. Love to daughter Sondra and granddaughter Tennyson. GOD is Good!! CHERIE ROBINSON (Ms. Bellamy) Is delighted to be back on the Plaza stage working with such a talented cast in her first Play. Past Musicals include Mayor Matilda Hyde in ALL SHOOK UP; Mrs. Potts in BEAUTY AND THE BEAST; the cantankerous Sister Berthe in THE SOUND OF MUSIC; Mrs. Paroo in MUSIC MAN; CAMELOT; JOSEPH…DREAMCOAT; BYE, BYE BIRDIE; A CHRISTMAS CAROL and GUYS AND DOLLS. Cherie has been married to her high school sweetheart, Joe, for 32 years and they have two children, Samantha and Daniel, and has been blessed with three of the most precious grandchildren, Hayden, Piper and Sutton. Her heartfelt thanks go out to Soni and Jodie for their patience and extra encouragement during her first foray into a show with no lyrics! RUSS B. WALKER (Mr. Massoula) Last seen as Jenkins in CASH ON DELIVERY, Mr. Walker is delighted to be back on the boards at Plaza Co. Favorite roles include Rooster in ANNIE, Grandpa George in WILLY WONKA, and Froggy LeSuer in THE FOREIGNER. Previously, he's been seen on the Plaza stage in various roles including Bob Cratchit in A CHRISTMAS CAROL, Floyd in GHOST OF A CHANCE, Arthur Humphrey in SEE HOW THEY RUN, Samuel in CURIOUS SAVAGE (that's a good show), and various other roles in Plaza classics including FOOTLOOSE, SEUSSICAL, BEAUTY & THE BEAST, YOU CAN'T TAKE IT WITH YOU, etc. ELLEN SHELBY (Mrs. Pulitzki) ELLEN SHELBY (Mrs. Pulitski) Ellen is delighted to make her first appearance at Plaza Theatre Company after a nine month deployment to Afghanistan. She has previously appeared as Joy Gresham in SHADOWLANDS at Vive Les Artes in Killeen, TX. She has also performed at Theatre off the Square in Weatherford, TX as Amadeus in THE TRIAL OF THE BIG BAD WOLF, M'Lynn in STEEL MAGNOLIAS, Phyllis in SYLVIA. Ellen is also known for her work as a Stage Manager at Vive Les Artes for RAGTIME, INTO THE WOODS, I LOVE...CHANGE, TO KILL A MOCKING BIRD, PERFECT WEDDING, FOOTLOOSE, and PROOF. Ellen would like to thank Jodie and Soni for their patience and flexibility. JOE ROBINSON (Mover) Joe is very happy to be back in his third show with Plaza Theater Co. He previously played Reuben in JOSEPH...DREAMCOAT and Mr. Merkle in Bye Bye Birdie. Joe would like to thank his beautiful wife of 32 years, Cherie, for her love and support. JACESON P. BARRUS (Red) Appearing in his 53rd production at PlazaCo, JaceSon is pleased to be playing a character whose primary responsibility is to move the scenery. He's often cast in shows moving the set behind-the-scenes, but here he gets to move set in the light - what a novelty! Seriously though, he loves being a part of a show in roles large or small and is grateful for the opportunity to appear with such a fun group. Enjoy the show. SAMANTHA ROBINSON (Mover) Samantha is thrilled to be back at PlazaCo and sharing the stage again with her mom and dad again. This is her third show with PlazaCo. Previous work includes Stage Manager for CHRISTMAS CAROL and as a mother in BYE, BYE BIRDIE. She would like to thank her family for taking the time to watch her amazing son, Hayden, while she was at rehearsals. When Samantha is not at the theater she works as a 911 dispatcher and loves every minute of it. STACEY GREENAWALT (Costumer) Stacey is a a 2014 Column Award nominee for her costuming work. She's a theatre and choral nerd who's been singing and performing for thirty years on various stages: cedar chests, school cafeterias, backyard monkey bars, gymnasiums, football fields, churches, auditoriums, showers, and... well, theatres. Favorite roles include Lotty Wilton in ENCHANTED APRIL, The Detective in CLUE THE MUSICAL, Jolene in DIRTY ROTTEN SCOUNDRELS, Clairee in STEEL MAGNOLIAS, and both Yente and Fruma-Sarah in two different productions of FIDDLER ON THE ROOF. When she's not costuming, rehearsing, performing, or hanging with her very talented friends, Stacey is a busy Supported Employment Specialist with Goodwill. She's also an accomplished artist, professional photographer, published author, mom, and shower show-tune diva extraordinaire. Big hugs to LA, ME, JM, JK, and Dizzle (love you guys!). NATHAN GLENN (Asst Stage Manager/Joe) Adept on the stage, Nathan now turns his interest to the production team in his first performance as an Assistant Stage Manager. He was last seen in PlazaCo's 75th production, the renowned musical CAMELOT, where he played Sir Bliant, a Knight of the Round Table. He has also taken part in other Plaza productions; among them CASH ON DELIVERY where he played Mr. Forebright, Charles Dicken's A CHRISTMAS CAROL, playing one of the Charity Solicitors, ARSENIC AND OLD LACE as Officer Brophy and GUYS AND DOLLS taking on the role of Liver Lips Louie. Working behind the scenes has given him new insight into just all the little extras that go into making a performance successful as well as all the hours required outside of a standard rehearsal. He is thrilled the Producers of Plaza Theater have given him this opportunity as well as the Directors of this production for teaching him so much. This experience is certain to make him a better asset, either on stage or backstage. RUTH ANN WARWICK (Stage Manager/Tim's Woman) Ruth Ann is participating in her ninth production here at Plaza. You may have seen her on stage as Dora in DEAR RUTH, Frau Schmidt in THE SOUND OF MUSIC, a village in CHRISTMAS CAROL, immigrant woman in RAGTIME, and as Shaindel (Motel's mother) in FIDDLER ON THE ROOF. She has stage managed the awesome productions of CAMELOT, THE KING AND I, and WHITE CHRISTMAS. Most recently Ruth Ann was privileged to costume with her amazing daughter, Emily, 1776 and IS HE DEAD for Granbury Theatre Company. Her immense respect and appreciation go to Soni, Jodie and the entire production team, crew and actors who Ruth Ann has been honored to work with. " Sometimes the smallest step in the right direction ends up being the biggest step of your life. Tip toe is you must. But take the step. All my love and thanks to Jim, Jace and Emily, who bring light and joy to each and every day. Also to my entire family and friends for the support and encouragement." JODIE BARRUS (Director) Jodie is excited to be co-directing with his magnificent wife Soni. They have collaborated on several productions during past years including SAVIOR OF THE WORLD at the Conference Center Theatre in Salt Lake City. Other collaborations include GUYS AND DOLLS, FIDDLER ON THE ROOF, THE SOUND OF MUSIC, ALL SHOOK UP, THE KING AND I, and the soon to be produced THE WIZARD OF OZ. When not directing or being on stage at Plaza or elsewhere (HARVEY, JOSEPH....DREAMCOAT, THE SOUND OF MUSIC, WHITE CHRISTMAS, 1776), you'll find Jodie in the box office, maintaining the theatre, or building or painting set. He finds it amazing to be involved with his son's family and his super grand kids. SONI BARRUS (Director) Soni always loved theater. At 10 years old she wrote that she wanted to "entertain the world". She has directed nearly 100 plays; many in the Salt Lake City area prior to moving here nearly 4 years ago. With her sweet husband of 45 years, she and Jodie have co-directed FATHER OF THE BRIDE. Additionally, FIDDLER, SOUND OF MUSIC, KING AND I, and the soon to be produced WIZARD OF OZ are all a part of their Plaza Theatre productions. Being no stranger to acting herself, she derives great joy in watching the process unfold at a well-oiled rehearsal, and building kin ships with the actors and their roles. "Special thanks to my son and his great family for making the project fun and fulfilling, and to this excellent cast for letting me boss them around. I love you all."